If you want to give your avatar a doll or robot look, here is a wind up key, very detailed made in the best quality metal. 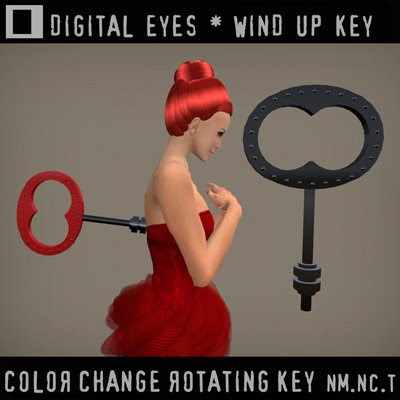 This key will rotate on your back and it's color change on touch with a drop down menu to match all your outfits. It can also make a nice gift as it's transfer.